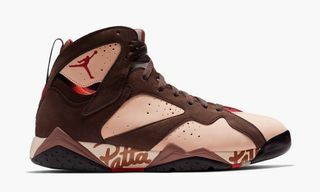 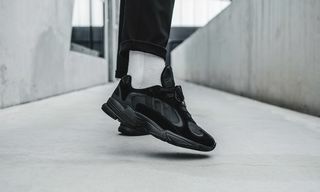 Key Features: The sneaker features a mixed material construction composed of nubuck, suede and mesh, as well as a stabilizing Torsion system and on-trend thick midsole. 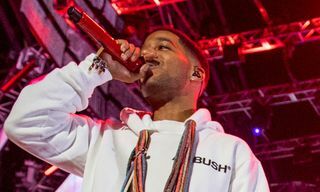 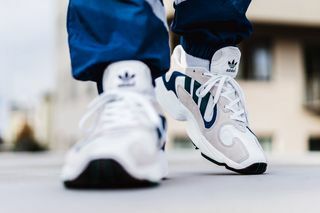 An embroidered adidas Trefoil logo on the tongue completes the look. 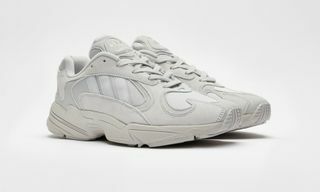 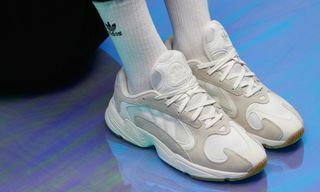 Editor’s Notes: The Yung-1 has been one of adidas Originals’ most popular new silhouettes so far this year. 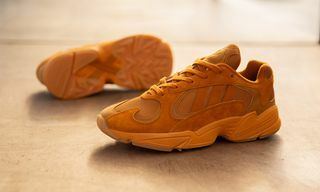 Collaborations with the likes of END. 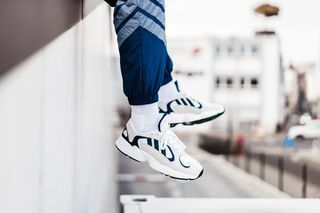 and Solebox, as well as exclusive colorways with Sneakersnstuff have given sneakerheads a vast selection of limited styles to choose from. 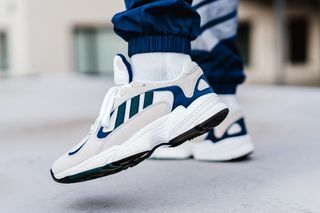 Now, German retailer 43einhalb reveals an eye-catching blue/white colorway of the shoe. 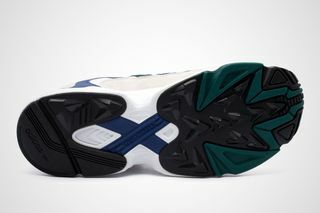 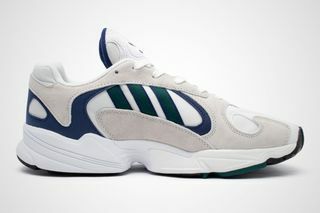 Captured on-foot above, the color combination, which features hits of green on the side stripes, is both classy and clean. 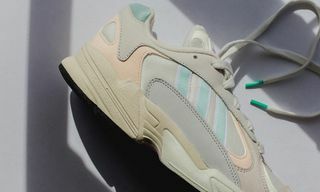 Check out the ’90s-inspired sneaker in its most retro colorway yet above and leave your thoughts in the comments below. 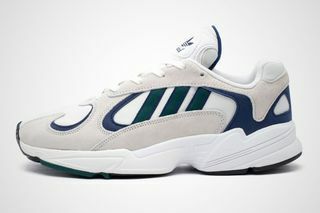 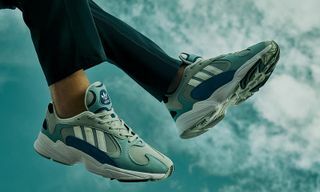 If you’re feeling this blue/white adidas Originals Yung-1, shop the sneaker via the link below.